21 year old Kelsie Schelling has been missing since February 4, 2013 when she vanished in Pueblo, Colorado while visiting her boyfriend. Kelsie Schelling lives in Denver, Co and has not been heard from nor seen since she disappeared. Police finally have a clue in her disappearance as her car has been located Thursday afternoon abandoned in Pueblo. However, the police are revealing little information as to the condition or where in the city that the vehicle was found. Also, the police have been rather tight lipped as to whether or not they suspect foul play in Kelsie’s disappearance as reports haven’t revealed much in her case such as her boyfriend’s name or whether or not he’s a person of interest in the case. However, the longer this missing persons case goes on, the more likelihood that Kelsie Schelling met with foul play … was Kelsie Schelling murdered? It should be noted that Kelsie was last seen in Pueblo, Colo., when she was reportedly visiting her boyfriend. However, no reports have clarified upon the type of relationship the couple have — whether or not they have a rocky relationship or if they get along well. Would her boyfriend have a motive to harm her and hide her body, making it look as though she vanished sometime before or after their visit? Or could someone have preyed upon the young woman while she was in between visitations with the man? Officials on this case aren’t revealing much information, but what is for certain is that Kelsie Schelling remains missing with few answers. It’s now verging into the second week of her disappearance and even with the use of social networking there aren’t any reported sightings of her, nor are any people coming forward claiming that she is safe or that they’d seen her. This in and of itself is distressing with the woman missing for over a week. Kelsie Schelling’s Facebook page. HELP FIND KELSIE!!! 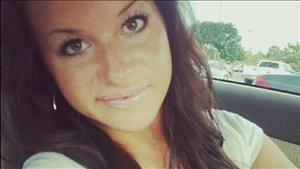 UPDATE I: Family of missing woman Kelsie Schelling speaks about disappearance. Kelsie’s boyfriend, Donthe Lucas, lives in Pueblo, but police will not reveal what he’s told them about when he last saw Kelsie. Since Kelsie has gone missing, Lucas has been arrested on suspicion of identity theft and released on bond. A judge has sealed his arrest affidavit, along with other key information in the case like phone records and surveillance video. If you have any information about Kelsie, call Pueblo Police at 719-553-2502 or Pueblo Crime Stoppers at 719-542-STOP. For more updates, read others opinions and provide your own go to Scared Monkeys Missing Persons Forum: Kelsie Schelling.